We will have our own press release and commentary shortly. and other toxic contaminants, such as Toluene and Methylene Chloride. at the bottom of this post. Thanks! PLEASE COME TO OUR DEC PUBLIC HEARING in ENDICOTT on 9/14!! i3 Electronics in Endicott is seeking a permit to treat industrial waste products from Broome County and elsewhere. It was awarded a Pilot program in 2013 to treat water that was produced by i3 and leachate from the Broome County Landfill. i3 is located in the Huron Campus, one of the former sites of IBM. Leachate is wastewater from landfills and other industrial projects that is treated. The water eventually ends up in the Susquehanna River, but i3 representatives say there is an extensive process to make sure it's safe. i3 is inspected yearly by the state's Department of Enviromental Conservation, or DEC, as well as the EPA. In addition i3 assures that the plant is monitored 24 hours a day, 7 days a week. It is also audited from a 3rd party company. Environmental Services Director Paul Speranza says they continue to meet the guidelines from the powers that be. "We're doing everything that can be done to properly treat the waste that we have coming to the facility. We do it with the DEC's knowledge, oversight and approval," he said. Speranza admits there was a previous spill. However, an on-site clean up team had the leak contained. Speranza says that too met the appropriate environmental guidelines. "There was an accident. We responded. We contained it. 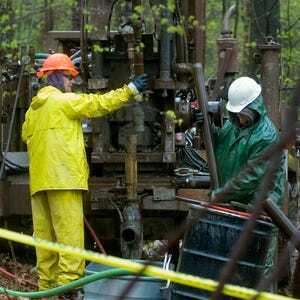 We brought the DEC in so they had some first-hand information and could conquer with the clean-up activities," he said. Speranza says lab testing is conducted for pages worth of toxins, including TCE, the industrial solvent that contaminated portions of Endicott as a result of IBM. He says it has never show up on their tests. Meanwhile, those who oppose the i3's permit application say they don't want Endicott to once again be contaminated. Opponents say Endicott should not be a destination for treating industrial contaminants. 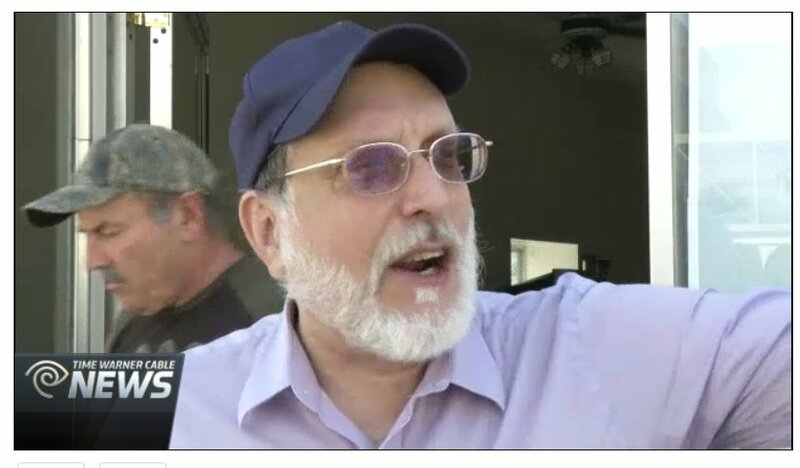 He also says the company is not being honest about what is being eventually thrown back in the village's storm drains and Susquehanna River. He also says there is an unpleasant odor that surround the plant at the Huron campus. William Huston of Endicott says he's tired of Endicott being the center of risky environmental processes. "Endicott is already a TCE-contaminated village. We leave in a plume of a cancerous-causing chemical. Now, you want to talk about bringing toxic chemicals by the truckload? We're talking ten of thousands of gallons. We don't think this is a good idea," he said. I3 Electronics hosted another tour of its operations to address concerns over how it treats groundwater from landfills at its wastewater treatment plant in Endicott. This one was for local politicians. "Important that people have the facts and not some of the speculation that was in the media articles that we thought had misconceptions." Groups including Concerned Citizens of Endicott accuse the company of dumping toxic chemicals into the Susquehanna River. Last week, the company hosted tours for citizen groups. 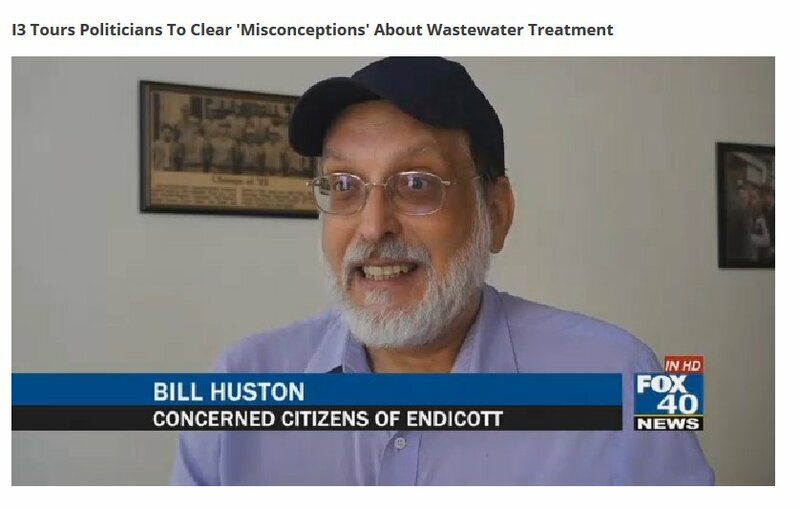 Concerned Citizens member Bill Huston is still not satisfied with the quality of the water after it has been treated. "The effluent that is leaving this facility is not drinking water standard. It's called clean water standard and that's a different standard. So what they are permitted to dump into the river can have a lot more toxins in it than what we are supposed to have in our drinking water. "said Bill Huston, concerned citizen of Endicott. "I would like to tell residents that we are doing everything that can be done to properly treat the waste that we have coming into the facility. And we do it with DEC knowledge, oversight and approval," said Speranza. In 2011, I3 began treating leachate for the Broome County Landfill under a pilot program approved by the state Department of Environmental Conservation. The company has since expanded and treats leachate from the Seneca Meadows landfill as well as aircraft de-icing fluid. I3 now treats 80,000 gallons of leachate a day. The company says that water is tested every week. I3 has applied for an extension with the DEC to continue the pilot. A public hearing on the application is scheduled for 6 p.m. on September 14 at Union-Endicott High School, Huston urges anyone who is concerned or has an opinion on the topic to take part in a community forum that will be held at Union-Endicott High School next month. It takes place on September 14th at 5 p.m.
ENDICOTT (WBNG) – i3 Electronics, a private company located on the Huron campus, is says it's looking to be more transparent with Endicott residents over its Waste Water treatment facility. i3 on Wednesday gave local politicians and media a presentation on how the facility successfully treats leachate. Leachate is the ground water collected at a landfill. Some Endicott residents say they often worry about the water that eventually gets discharged into the Susquehanna River. "I can tell residents that we're doing everything that can be done to properly treat the waste that we have coming in the facility and we do it with the DEC's knowledge, and their oversight," Director of Environmental Services at i3 Electronics Paul Speranza said. i3 Electronics says it's look to build trust with the community before submitting a renewal for its State Pollutant Discharge Elimination System (SPDES) permit. While the plant is treating leachate under the pilot program, the new permit from the Department of Environmental Conservation would then give them official go ahead. The plant is authorized to treat up to 80,000 gallons of Leachate per day. 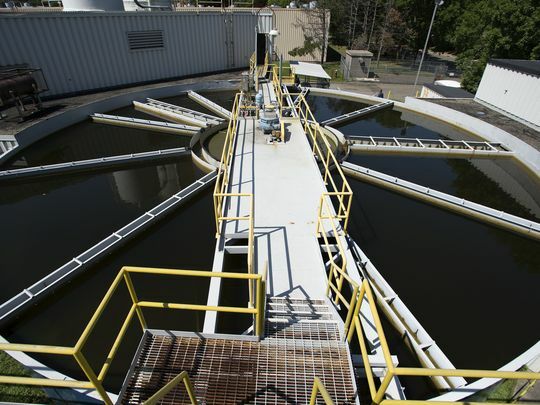 To date, 80 million gallons have been treated with 72 percent coming from Broome County and 28 percent coming from Seneca Meadows, officials say. "A gasoline tank is hazardous yet there are thousands of them on the road everyday," Speranza said. "You have them in your garage, Leachate is water and it has some contaminants from the landfill. That's all it is." The waste treatment plant was constructed in 1970s by IBM. It currently has 15 full time employees. But some activists are calling for the plant to be completely shut down." "I think the ultimate goal would be to shut down that facility all together," member of Concerned Citizens of Endicott William Huston said. "I think a reasonable compromise would be that, that facility is only used as it was designed for treating the internal process waste." 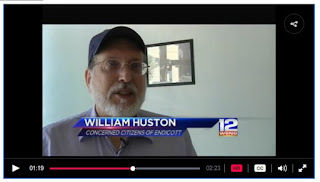 Concerned Citizens of Endicott is one of several community organizations that recently got a tour of the plant. While Huston said he was impressed -- he still thinks there are toxic chemicals running deep. "The company is the progeny of IBM," Huston said. "This facility over here has a very toxic legacy in the village of Endicott so we just don't think it's a great idea for a village that's already suffering this toxic contamination and bringing in more poisons by the truckload." Speranza says the plant is essential to keeping the Huron campus up and running. "We have a treatment plant that's doing its job," Speranza said. "It's benefiting the community by supporting local businesses here and around the campus and with out it those businesses aren't going to be here." The DEC will hold a public hearing on the renewed permit on September 14 at 5 p.m. in the Union-Endicott High School. i3 Electronics officials say there was a leak in one of the tanks quite a few years ago. They say they followed a procedure, had the DEC on scene, and have had no other issues since. ENDICOTT, N.Y. -- 80,000. That's the number of gallons of water collected from landfills, also known as leachate, that are treated and disposed each day at the i3 Electronics plant in Endicott. While the plant has drawn some criticism from Endicott residents, environmental service directors say it's a huge benefit to the community. 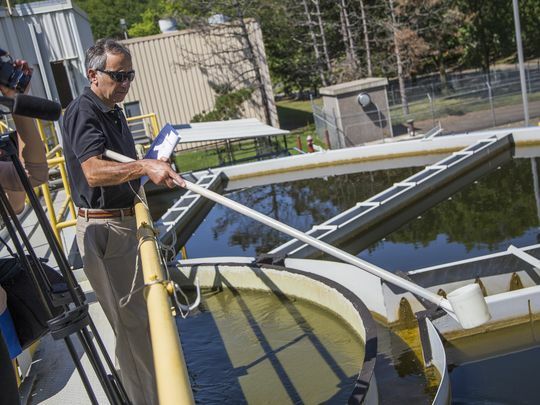 "We have a treatment plant that is doing its job and its benefiting the community by supporting local businesses here and around campus and without it, those businesses aren't going to be here," said Paul Speranza, i3 environmental services director. Representatives of i3 say the plant brings in hundreds of jobs and is a tremendous source of revenue for the village, but concerned residents say none of that is worth it for what they're calling dangerous conditions. "They're turning Endicott into a toxic waste disposal village," said William Huston, Concerned Citizens of Endicott member. "We've got this facility in our downtown area that they're trucking this stuff into. We don't think that's a good idea." Some residents have also complained of a foul odor when they get close to the plant, and claim it is dumping highly toxic chemicals into the river without fully treating them. However, i3 claims there are a number of treatments and tests that take place before any leachate is disposed and they say residents have nothing to worry about. "We test for a lot of things we don't even use but yet we continue to test for them and historically, the data shows that things like TCE and methane-chloride, we don't detect. They're not there," said Speranza. Some concerns started a few years back when a tank failed, spilling at least 6,000 gallons of leachate into the ground, but environmental service directors say since then, there have been no spills, and they're prepared if they happen again. "We have an emergency response team on site in the event because we use chemicals in our operations so we are always prepared to deal with an accident," said Speranza. i3 representatives say they hope Wednesday's meeting will clear up and concerns residents may have had. We reached out to i3 Electronics weeks before this meeting to give them a chance to address concerns, but our calls were never returned. There will be a public hearing on the matter at Union-Endicott High School on September 14th. 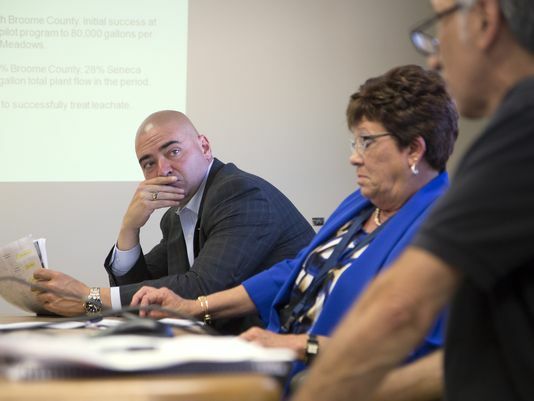 Hoping to quell public concerns about handling landfill leachate at Endicott's Huron Campus, i3 Electronics officials met Wednesday with local politicians to outline the mechanics of its waste treatment facility. Despite numerous concerns from Endicott area residents about testing for metals and other hazardous substances treated at the plant and discharged as effluent into the Susquehanna River, i3 officials said Wednesday the plant's operations continue to follow state environmental regulations in successfully treating leachate. On Aug. 4, the state Department of Environmental Conservation sent i3 a letter confirming the facility complies with State Pollutant Discharge Elimination System (SPDES) program permit limits. After meeting Wednesday with local politicians — Broome County Executive Debbie Preston, Sen. Fred Akshar, Endicott Mayor John Bertoni and Union Town Supervisor Rose Sotak — Paul Speranza, i3 director of environmental services, said the company is "doing everything that can be done to properly treat the wastes that we have coming into the facility." "The (SPDES) permit is important to us," he said. "This facility is able to do treatment to a higher level than some of the other plants in the county and elsewhere." Since 2011, the Endicott facility has been treating leachate, which is groundwater collected at a municipal landfill. Coalition have particular concerns about waste leachate shipped from Seneca Meadows — a landfill that once accepted waste from Marcellus Shale drilling operations in Pennsylvania. According to i3 officials, some 80 million gallons of leachate have since been treated at the Endicott facility — 72 percent of it coming from Broome County and 28 percent from Seneca Meadows. Leachate accounts for 10 percent of the total plant flow, officials say. The topic of treating leachate is especially sensitive given the history of the Huron Campus, which is listed on the state's hazardous site registry because of chronic pollution from TCE and other industrial solvents from the pre-regulatory era. Although progress has been made with cleanup operations spanning more than 35 years, high concentrations of TCE remain under some buildings. "We test for a lot of things we don't even use, things like TCE ... we don't detect — they're not there," Speranza said Wednesday. "If we detect anything that's not supposed to be there, we talk to the DEC and come up with an action plan." In February, 2013, landfill leachate was spilled at the Clark Street plant, according to DEC records. Residents, not informed about the shipments or the spill, were left piecing together information until a year later, when the DEC explained details at a meeting in response to questions. A corroded tank holding the contents of a Seneca Meadows shipment failed and an estimated 4,200 gallons of leachate spilled out, much of it soaking into the ground. The record was closed after the spill was cleaned. The waste treatment plant has been operated by i3 since November 2013. When i3 took over, residents complained that they were never notified about decisions to import waste shipments, or about other spills at the plant. According to i3, the plant operates at an average daily flow of less than 500,000 gallons per day. On Wednesday, following a tour of the facility, elected officials said they were satisfied with the plant's treatment operations. "I applaud you for your commitment," Akshar told i3 officials during a meeting. "It's clear to me that you've been very open and transparent in this process." Preston also praised the facility as a key piece of infrastructure. "It's a great thing to have, regionally," she said. Wednesday, Sept 14th, at Union-Endicott High School. Info session at 5pm, hearing at 6pm. PLEASE COME TO THE HEARING AND HELP PASS THE WORD!These poisons being dumped into the river potentially impactMILLIONS of people and other living things downstream.Thanks!